If you have spare time, and of course unmatched skills in a particular area freelancing is a great way to make an extra income. If you are super serious about it, you can even become a full time freelancer. 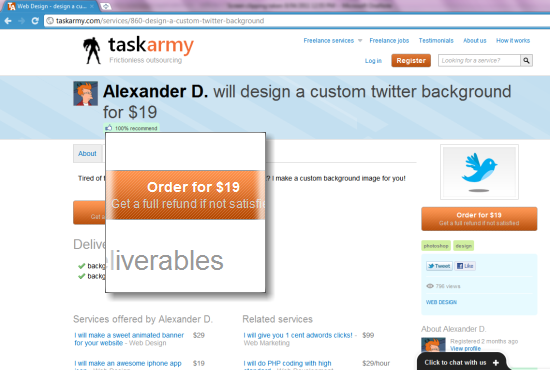 What if you want some task done, professionally at a low price tag? Say you want the logo of your personal business designed, with high quality but for a lower rate. 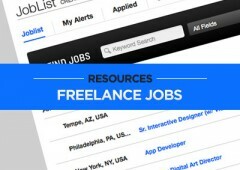 Freelancing marketplaces might be the perfect place to hire a contractor to get the job done. Freelance marketplaces network the skilled contractors around the world and the potential clients together, creating massive flow of skills and payments. Another great feature of these marketplaces is that they are active 24 hours a day year round, because the members are from different time zones, from around the world, therefore efficiency of your work is guaranteed. 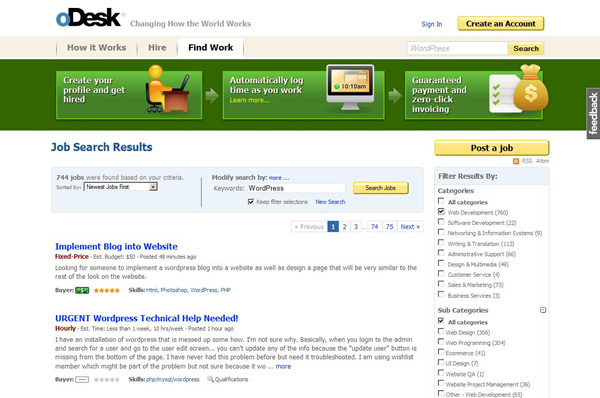 oDesk is the ultimate freelance platform for both the contractor and the clients. It's simple, feature packed and essentially popular among masses. After signing up for a free account as a contractor, or as a client, you can find jobs or post your jobs for free, using the oDesk website. Contractors can improve their market value, by creating a shiny profile, by adding a portfolio, passing free tests as extra proof of your expertise in a particular field. The website layout is simple and inviting, and formats the contractor’s profile in a comprehensive manner. Once you've completed a job successfully a client can rate your work out of five, so it serves as an indicator of the quality of your work and service. In the same way contractor too can provide feedback on the client, therefore this acts as a catalyst, luring both the contractor and client to be professional, of high quality and reliable. The jobs on oDesk are categorized as fixed price contracts and hourly contracts, and both types of works have their own advantages and disadvantages. After playing with them a bit, you will find what suits you best with your daily schedule, and you can go with that. There are bunch of withdrawal methods for the contractors, including PayPal, Skrill, Payoneer and wire transfer, so contractors from around the world can work here without having trouble withdrawing their earnings. Elance is one of the most popular freelancing sites functioning today, with nearly 2 million contractors looking for work. You can work either as an independent contractor or as a company. Membership status could be either free or paid. You can take tests, add portfolio items, and even a video for your profile to market yourself. The rating system works here too. Payment method is secure, since its being handled through escrow. Another added advantage of Elance over oDesk is that, the contractors get a guarantee of payment even for fixed price contracts. Clients can communicate with the contractors using their workrooms, which are secure to both parties since a log of the messages between parties is securely stored by Elance. The milestone feature is useful for the fixed price contracts, to stay within deadlines and the budget. Elance too offers a bunch of withdrawal options for international contractors, including PayPal, Payoneer, Moneybookers and clients can pay for their work using Credit cards, PayPal or Bank transfers. Freelancer.com is another great platform if you are a contractor searching for jobs or a client searching for the best talent. The web interface is simple and familiar to most other freelancing sites. Clients can post their jobs for free here, and contractors can filter the job postings according to several different criteria, like by categories, by skill levels, jobs with lowest bids or job proposals ending soon etc. Payments here are handled by escrow, guaranteeing a satisfactory service for both the client and the contractor. Feedback system is present here too, making it easier to filter the skilled contractors and honest clients. However the freelancer.com has a bad reputation about handling the charges, causing loses to the client and the contractors, therefore this should be your secondary of tertiary option, if you are looking for a contractor or a job posting. Guru.com is one of the oldest players in the arena, with thousands of talented contractors willing to work on projects, and with thousands of clients searching for high quality contractors. Like the other freelance sites, Guru.com too offers ways to make a great profile, manage projects, set milestones and communicate with the clients. The web interface of Guru is quiet simple and even first time visitors wouldn’t find it alien. Payment methods are securely monitored by Guru, handled by escrow, so contractors are guaranteed of their payment, and clients of high quality work. A complaint over Guru is its higher fees however you can reduce the fees to a certain level with a paid membership. There are several limitations with a basic membership plan, such as a maximum amount of 10 bids for every 30 days. Guru.com is a key player among the top freelancing sites functioning today; therefore it’s worth giving a shot. TaskArmy flavors a different freelancing strategy, allowing contractors to attract clients by putting on notices about what they can produce for the clients in return of a pre-defined sum of money. This replaces the traditional ’client-posts the job: contractor-bids on the job’ model. Clients can browse through thousands of contractors and find the best person for their job at a competitive price tag. What’s remarkable here is that the client only pays to the contractor if and only if he is satisfied with the work. Clients find this quiet easy since, they don’t have to post job descriptions, interview the selected clients one by one and finally hire the most suitable person and still pay them even if their work is not up to the quality they expected. The payments are handled by escrow, therefore client is guaranteed of high quality work, and the contractor the payment. The contractor base on TaskArmy is pretty strong and they are bound to be professional, since TaskArmy has manually approved each provider to make sure they are capable of doing what they boast.